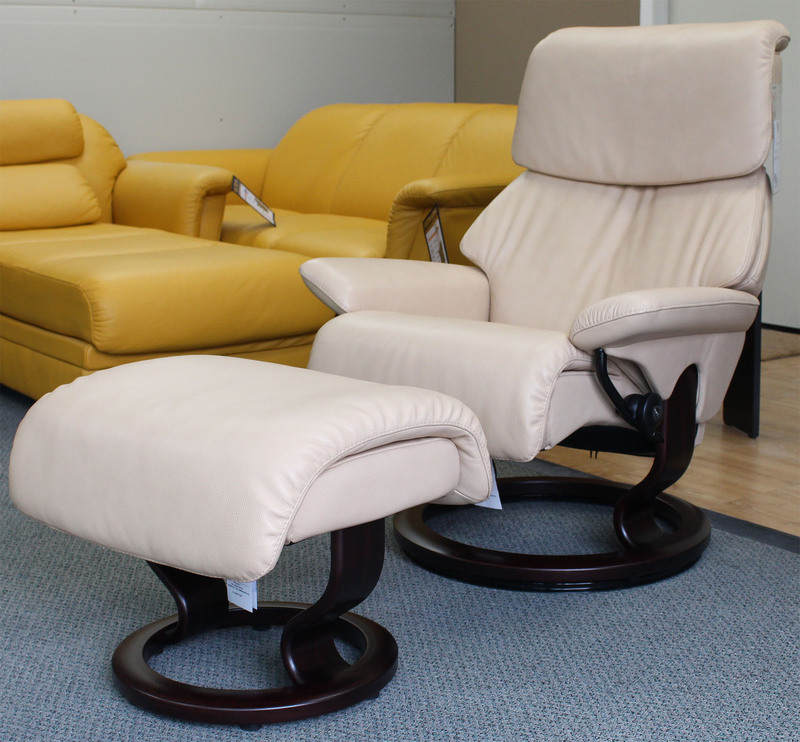 Ekornes Stressless Dream Medium Cori Passion Leather Recliner Chair and Ottoman. Stressless Dream Medium Cori Passion Leather Recliner Chair - Stressless Dream - a classic Stressless design Stressless Dream has the patented Plus-system which provides perfect neck and lumbar support in any angle. Design-wise, it’s all about Stressless heritage – a recliner which invites you to lean back and ease out. 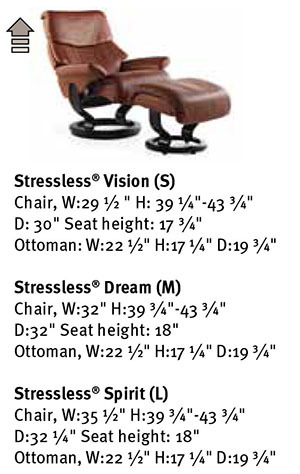 Building the world’s greatest recliners for people of only one shape and size would be unfair, that’s why our Stressless recliners come in three sizes. 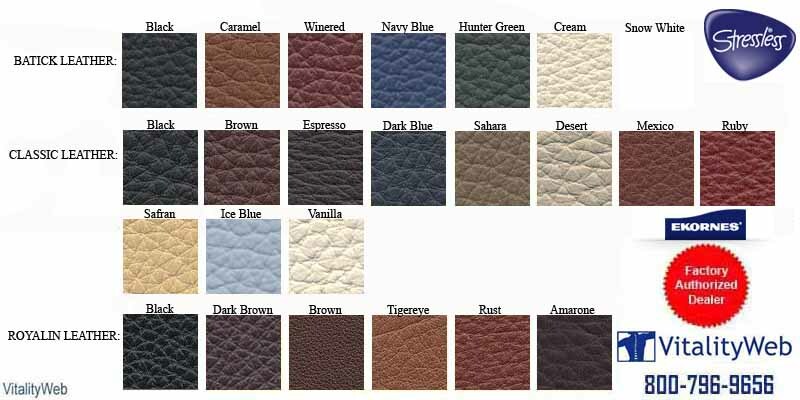 Our Stressless Dream Medium Cori Passion Leather offers durability and a sensible price point It will withstand wear and tear over the years developing to a soft patina, natural to aged leathers. Batick is corrected from visible defects and improved by pigment, with a grain embossed surface. 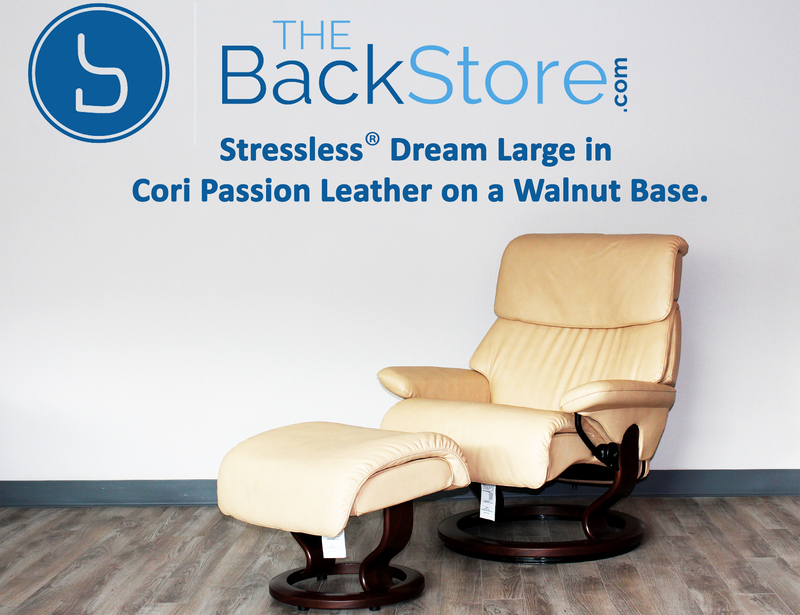 Stressless Dream Medium Cori Passion Leather is specifically processed to be resistant to fading in natural lighting with a heavier protective lacquer coating that is designed to make cleaning easier. This is an excellent choice for families.